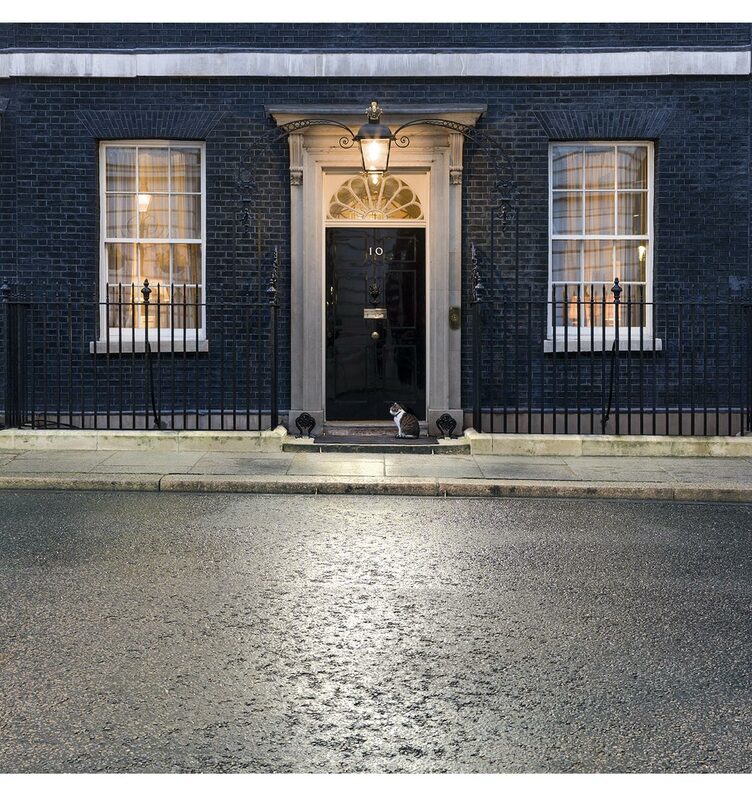 10 Downing Street and Larry the cat. UK Prime minister's residence at dusk. Photographed with a Hasselblad and 50-110 lens.